The perfect pool cue tip can catapult your pool game into the realm of professional players, while a dud tip can keep your shots erratic, unpredictable and inaccurate. For screw-on tips, the quality of the tip is all the more important. Keep your tips fresh for the best consistent pool shot. Screw-on tips are easy to remove and replace. 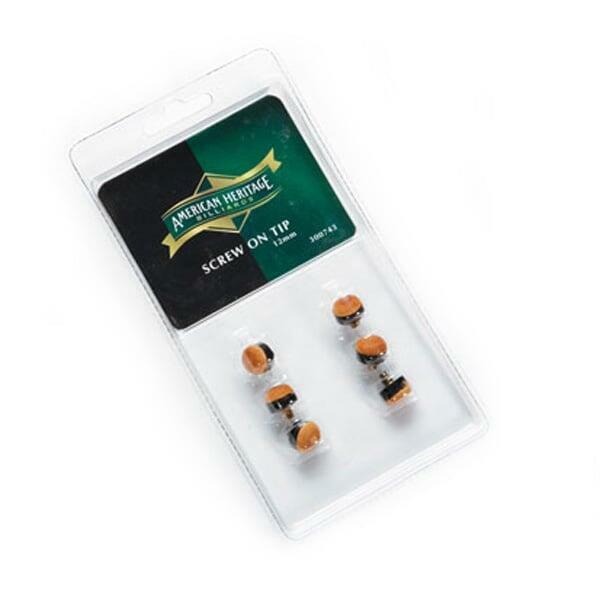 The package from American heritage includes six screw on pool cue tips to keep all of your cues in perfect working order.